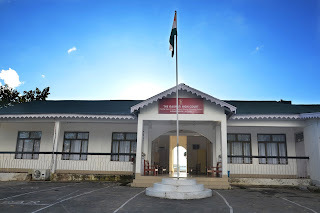 Aizawl, Aug 7 : Village Councils are the equivalent of panchayats, and the “passes” have traditionally acted as certificates of land ownership for agricultural purposes within the Council’s territory. Worried about conflict and delays over compensation for land chosen as sites of infrastructure projects, Mizoram has circulated to its officials a High Court ruling that a widely-issued land ownership document could not be used to claim or allot compensation. The Gauhati High Court’s Aizawl Bench passed an order in June saying Village Councils had no authority to issue “Garden Passes”, and that no claim for compensation could be made on the basis of these letters. Village Councils are the equivalent of panchayats, and the “passes” have traditionally acted as certificates of land ownership for agricultural purposes within the Council’s territory. “The power to issue a Garden Pass or a pass for any agricultural purpose to any person by a Village Council is not traceable to any power in any land laws prevailing in Mizoram…,” the court said, striking down an order passed by the lower court, which had awarded compensation to more than 100 petitioners. The petitioners’ lands had been acquired by the government for the under-construction railway line from Assam to Aizawl as part of the North-East Frontier Railway’s plan to link all Northeastern state capitals by 2022. The petitioners had approached the HC saying they had been compensated only for the crops on their agricultural land, and not for the land itself. “The issuance of the same for any agricultural purpose does not give any right to such pass holders to claim any land value. As such, persons having lands covered by Village Council pass for agricultural purposes cannot be entitled to compensation, i.e. there cannot be any land valuation made in respect of those lands,” the court said. Lalramthanga, Principal Secretary, Chief Minister’s Office, brought the judgment to the notice of participants at a meeting of top officials last week. The court order was discussed at length, and copies of it have subsequently been circulated among heads of various departments that are, and can be involved, in infrastructure projects and accompanying acquisition processes, according to several officials who attended the meeting. Several infrastructure projects in Mizoram have been delayed and complicated due to land compensation claims, prompting Chief Minister Lal Thanhawla to declare in the Assembly recently that “We are a compensation community” — leading to a heated exchange between him and opposition MLA Lalruatkima, who demanded the CM’s speech be taken off the records.